Chris Ashton, Julian Savea, Josua Tuisova, Tendai Mtawarira. We have recieived various reports that Top 14, record try-scorer Chris Ashton is looking to finish his rugby career in England, including the Rugby World Cup. He's got 2 more years left on his contract at Toulon, but needs to be with a Aviva Premiership club to be considered for international duties. 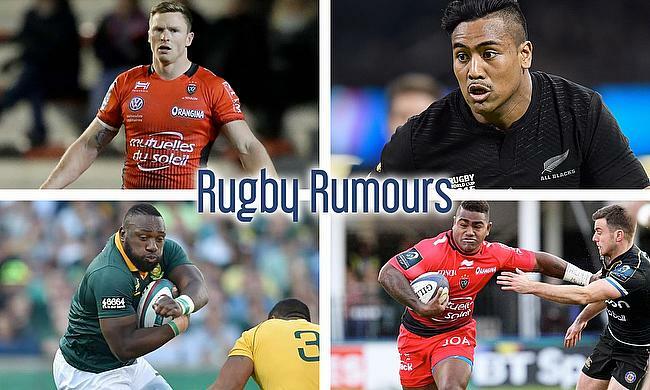 All Black winger, Julian Savea, has been targeted by Toulon, he has fallen out of favour with international selectors, having being left out of their summer tour. He would be filling a serious potential void at the Top 14 club, who would welcome the 54 times capped winger coming from Super Rugby. Lyon has abandoned the quest for the above mentioned Savea, and moved onto the Fijian powerhouse Josua Tuisova from Toulon. The 24 year-old Winger has set the club/international/sevens season alight of late, and would be rewarded handsomely for this rugby pedigree at Lyon. Stade Francais have had a huge reshuffle heading into the 18/19 season, and they are set to bring in international heavyweight Tendai Mtawarira. The Beast is set to make his 100th test-cap for the Springboks this weekend, and at 32 still has plenty of front-row rugby left ahead of him.